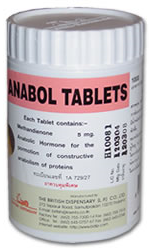 First made available to the general public in 1960, Anadrol has since become a popular anabolic steroid for use in medical and body building pursuits. Originally this medication was designed as an anemia treatment due to the effect it has on the generation of red blood cells. 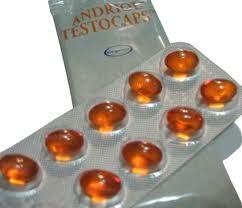 However, over the decades several other medications came onto the market that were capable of competing with Anadrol. 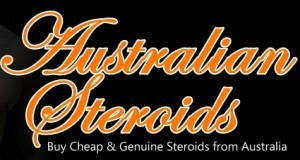 In latter years a compound known as erythopoietin, a non-steroidal hormone called epogen, was released. This hormone is far more capable of stimulating red blood cell production than Anadrol without the side effects that such anabolic steroids are known to cause. Over the years non-muscle building related usage of Anadrol has dropped significantly due to medical research and studies that have produced non-steroidal versions of medications capable of mimicking its effects. Due to these medications and the side effects found in Anadrol Syntex, the makers of this product, removed it from the market in the United States and several other countries. 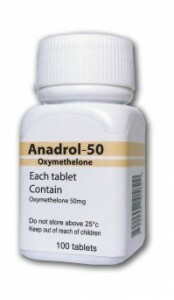 It was believed by many athletes that Anadrol 50 would eventually disappear from store shelves altogether. However, recent insights into methods of fighting the HIV/AIDS virus have provided renewed interested in this medication. Due to the anabolic effects of this medication the wasting nature of HIV/AIDS can be fought using Anadrol to bolster protein synthesis and heighten muscular growth to an incredible degree. The same factor that makes professional body builders desire the use of this product can be used as a means of saving lives and improving the quality of life for AIDS sufferers. Due to these factors Anadrol 50 began appearing on store shelves again in United States pharmacies in 1998. The primary clinical uses of this drug are the same as they have always been, with AIDS wasting syndrome now included. These uses include combating osteoporosis, anemia, and stimulating the growth of muscle for those who are malnourished or underdeveloped. With varying degrees of success it has been used for treating antithrombin III deficiency, repairing damaged myocardium, and improving pediatric growth. Overall this medication is used to generate increased volumes of muscle tissue and strength the body.